Although Taiwanese dramas are what got me hooked on Asian dramas in the first place, since I’ve started watching the Chinese costume dramas, it’s been awhile since I’ve watched any. 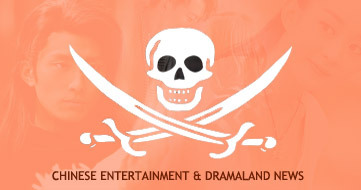 Then I saw the trailer for this series starring Tia Li who has been a supporting actor in two of my fave T-dramas, “Miss Rose” and “Marry Me Or Not”, alongside my favorite second male lead from “Fabulous Boys”, Hwang In Deok, and decided to add a modern drama to my current rotation of shows. 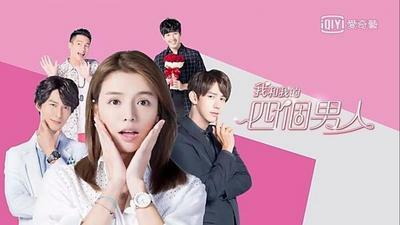 Memory Love (噗通噗通我愛你) is an upcoming Taiwanese drama starring Andy Chen Yi, Mandy Wei Man, Jolin Chien, and Kris Shen. At first glance, it looks like a fluffy romcom drama but noooooo, was so wrong. Our heroine has a good life and good boyfriend but all of that is ripped away from hers when her boyfriend dies in a car accident and she has amnesia, leading to an identity switch with her friend (Mandy Tao)! Her boyfriend’s heart is donated…to our male lead (Andy), of course. All the usual tropes thrown all in one pot! After giving birth, Ruby Lin is now officially back in business, producing and starring as the female lead in an upcoming Taiwanese drama My Dear Boy, alongside Derek Zhang (Prince of Wolf) and Zhou Xun’s husband, Archie Kao. That cracks me up! Wallace Huo just starred in 2 projects with Zhou Xun. Trading work partners? XD Not much of the synopsis is known except for it’s about our heroine wanting to love but always encountering the wrong people, a story of forgiveness and learning from them. As reported earlier this year, Taiwan will remake It Started With A Kiss one more time because you know it’s just so unique (LOL). The remake is called Miss In Kiss (恶作剧之吻) and it features rising stars in Dino Lee and Esther Wu. I recognize our lead actor in various movies and from the promo videos, he appears to be the most expressive of the actors so far. Good or bad, you would have to check in to know! Short and long trailers and songs are posted after the jump.